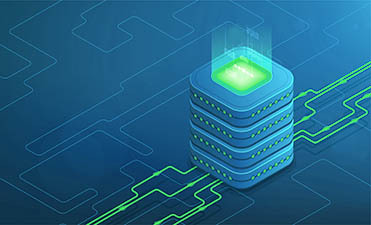 Parallel Computing | Derivatives Pricing Models | SciComp Inc.
As one of the earliest adaptors of NVIDIA’s GPU technology for use in financial services, SciComp has many years of experience and a high level of expertise with GPU technology. A key area of focus has been the GPU-enablement of derivatives pricing models and risk system components. SciComp's NVIDIA trained quantitative development team, provides expert, cost-effective GPU programming services for any PDE (partial differential equation) or Monte Carlo based pricing model. In addition, SciComp consulting also GPU-enables pricing model calibration routines and risk system components. 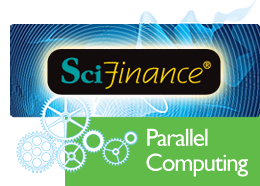 SciFinance® automatically creates derivative pricing models source code from high level specifications. SciGPU MC, the parallel computing component of SciFinance, automatically generates CUDA (NVIDIA GPU) source code for any Monte Carlo-based pricing model. Simply add the keyword “CUDA” to your model specification and SciFinance automatically generates the corresponding CUDA source code using its pre-implemented set of knowledge rules. Then test side-by-side the GPU-enabled code vs the default OpenMP-compliant code to verify the frequently order of magnitude accelerations while maintaining identical numerical results. The GPU-enabled code is structured to take advantage of current GPU hardware and software (CUDA) features. GPU or parallel programming expertise is not required. Find out more about GPU enabled derivatives pricing models.